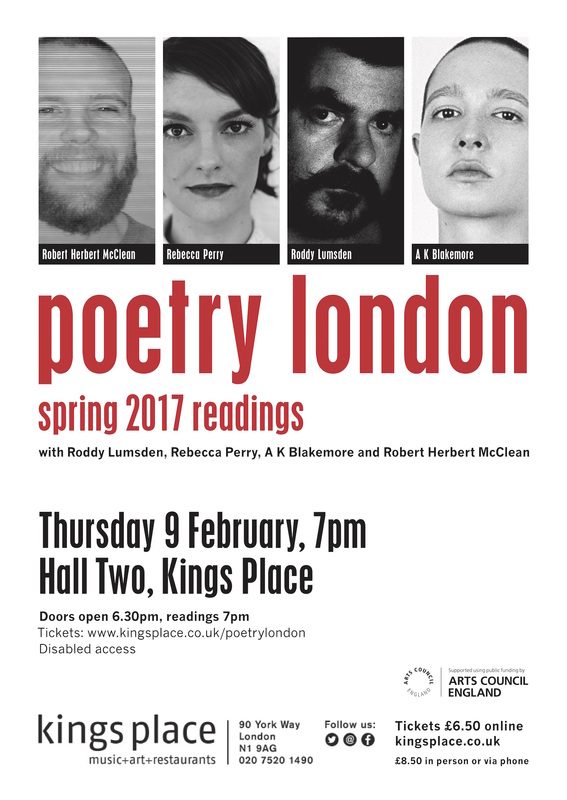 Poetry London launches its Spring 2017 issue with readings from Roddy Lumsden, Rebecca Perry, A K Blakemore and Robert Herbert McClean. 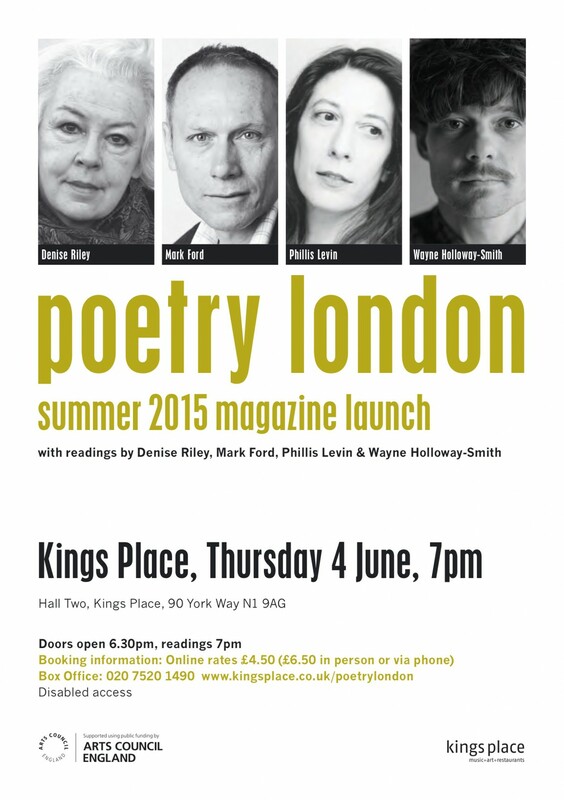 The evening will be hosted by the magazine’s Poetry Editor, Ahren Warner. A K Blakemore’s debut full-length collection, Humbert Summer, was released in 2015, followed by a pamphlet, pro ana, through Sam Riviere’s if a leaf falls press. Roddy Lumsden is the author of five books of poetry, including Terrific Melancholy (2011) and Not All Honey (2014). His books have been shortlisted for the T S Eliot Prize and Saltire Poetry Book of the Year, and he has represented Scotland twice on BBC Radio 4’s Round Britain Quiz. Robert Herbert McClean is a writer and audio-visual artist. His book Pangs! is available from Test Centre and his album ∞ aka Infinity is available from Blank Editions. Rebecca Perry’s first collection, Beauty/Beauty, was shortlisted for the T S Eliot prize. She co-edits the online journal Poems in Which.